The last two weeks Fox Lake riders took to Tennessee for Brownland Farm's Nashville Country and Nashville Classic horse shows. 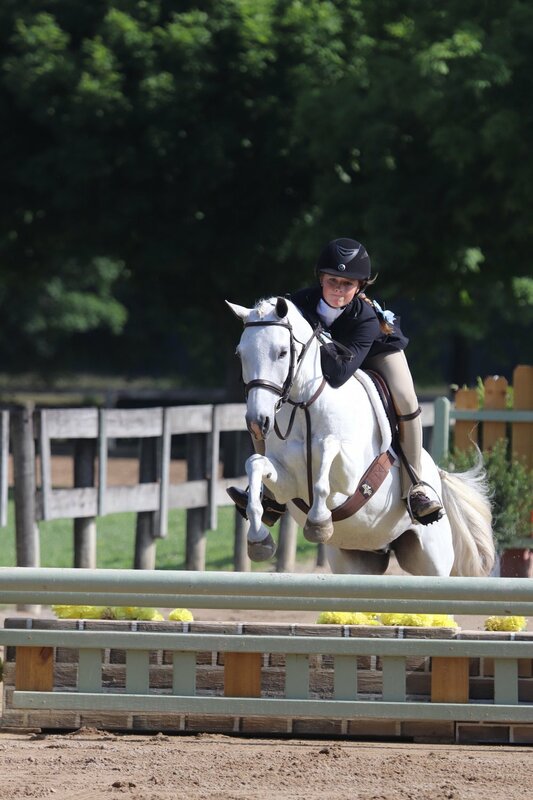 Ginny Joyner has joined the Fox Lake Farm team; she helped Allison Black and Michael Allen coach many horse and rider combos to tri-colors and blue ribbons! Ginny piloted Romney Velazquez's A Timely Affair to 7th in the $5,000 Brownland Farm Hunter Derby during Week I; Michael Allen took 12th on Cynthia Hallman's Fig Street's Duchess. During Week II, Ginny took 7th again with one of Romney Velazquez's horses--this time, Caredan Z.
Campbell Swanner giving THS Pia-Lena some love after a Children's Hunter round. The Fox Lake Farm family welcomed two new members during Brownland: Mary Mac and Charlotte Illges! Mary Mac piloted Sugarbrook Georgia Peach in the Medium Pony Hunters, and Charlotte tackled the Small Ponies with Winnie the Blue. Both girls had some great rounds and we are happy to have them and their ponies. Campbell Swanner and THS Pia-Lena had two weeks of consistently good rounds! Week II brought Campbell and "Pia" Reserve Champion in the 14 & Under Children's Hunters and a win in the WIHS/NAL Children's Hunter Classic! 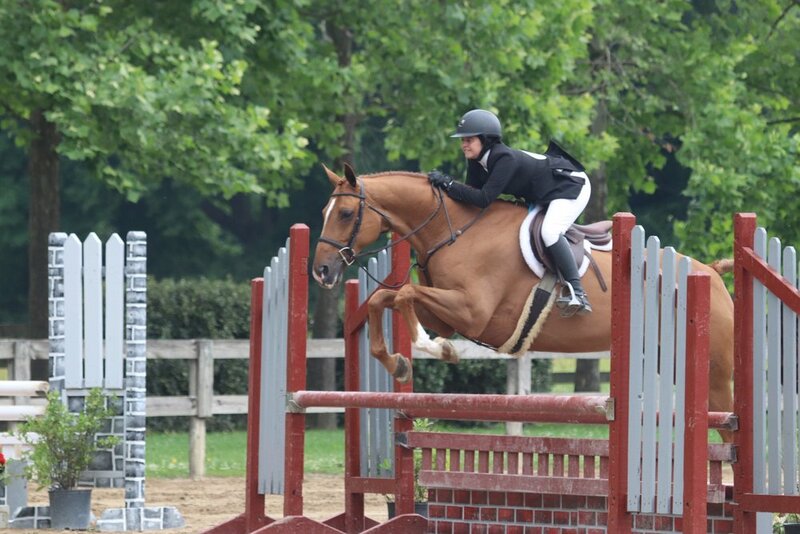 Lucy Reich and Indelible also had two solid weeks of horse showing; during Week II Lucy and "Deli" won three of their 3'3 Junior Hunter classes, clinching Champion honors! Hagen Blackwell kept the ball rolling from her success at Devon with both of her ponies during Week II. Hagen was Reserve Champion in both the Medium and Large Pony Hunters with Footsteps and Hey Scooby. 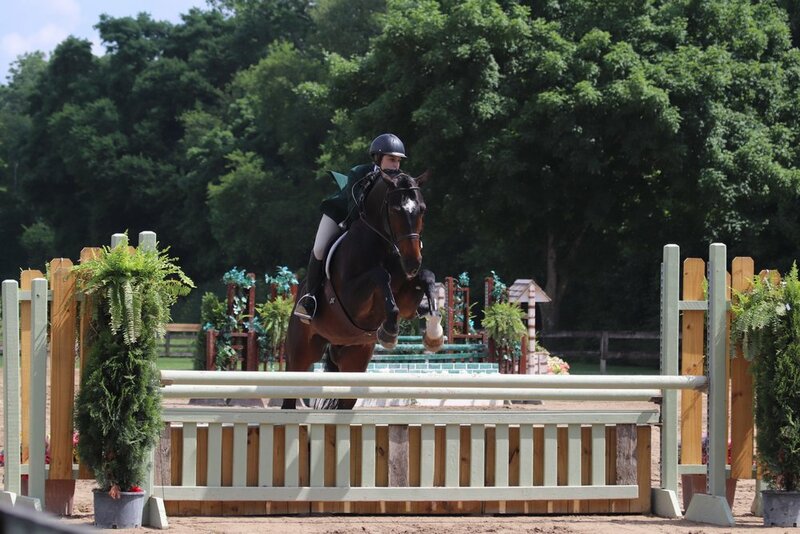 Abby Beaty also tackled Brownland Week II coming off of a very strong performance in the equitation classes at Devon. Abby took Champion in the High Children's Jumpers with Via Dolorosa; she also took 2nd in the Junior Hunter Classic aboard Corrado. Annie LaRussa and Escalido have recently moved up to the 3'3 Juniors from the Children's Hunters and are making easy work of the transition! Annie and "Donte" had some very solid rounds with good ribbons in a large group during Week II. Katie Habeeb had good ribbons on both of her mounts during Week II; Katie and Simply Red took 6th in the WIHS/NAL Children's Hunter Classic and Katie and Alto Aviador placed well in the Low Children's Jumpers. This week, Fox Lake Farm is at the Germantown Charity Horse Show! Riders have already had success in the show ring there, and we can't wait to see what all they accomplish this week. We are thrilled with the performances of every horse and rider and are so excited to spend the summer horse showing with this great group of people. Photo credits to Madison Massey. 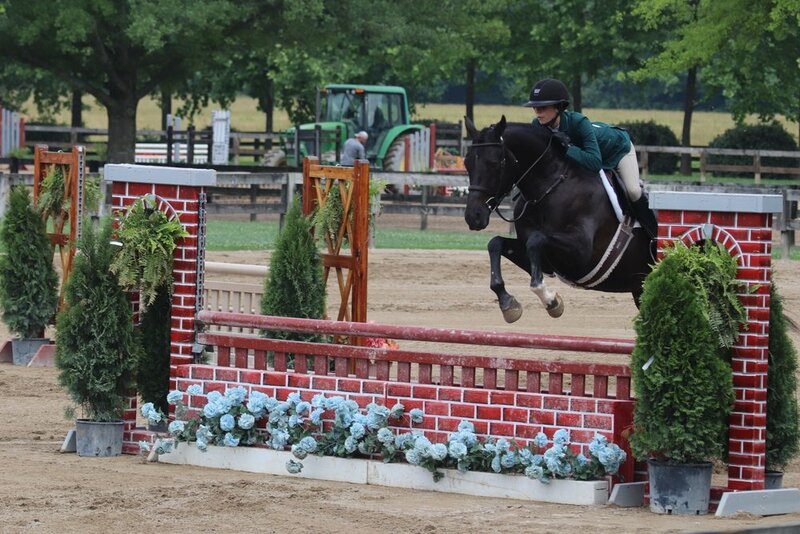 Older PostTwo Weeks of Success at The Devon Horse Show!